Many musculoskeletal complaints arise from injuries sustained in sports. Each year we see athletic performance draw closer to the limits of human potential. Understanding the biomechanical principles involved helps us to prevent injury and restore functional integrity and stability through rehabilitation. 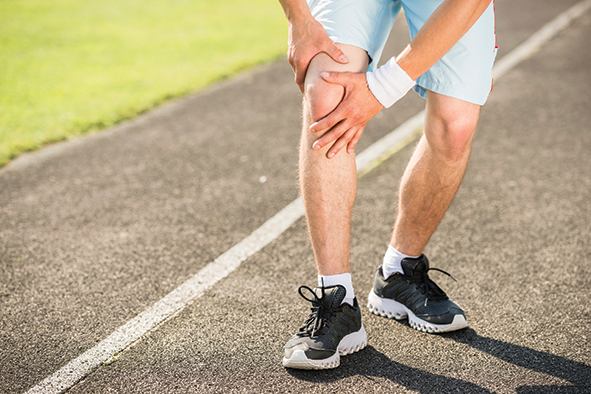 Sports injury treatment is designed to achieve optimal results for patients with a quicker recovery time. The Chiropractor combines chiropractic adjustments to realign the spine and help restore mobility with exercises to help injured muscles, tendons and ligaments by strengthening and returning them to normal. If you have suffered a sports injury, proper rehabilitation is necessary to result in a healthy return to an active lifestyle. Protect the injured tissues to allow healing and to control the early inflammatory phase. Rehabilitate flexibility, strength, proprioception, and muscle imbalance, and control physical activities with the aid of taping and splinting. Sport-specific activities must be tested to ensure the athlete can return to sport safely. If proper rehabilitation is not undertaken, the athlete may be competing too soon, with residual instability, proprioceptive disturbance and muscle weakness and imbalances. Individual programmes must be planned and implemented per athlete. This would include sport-specific exercises, adaptation to new postures to correct muscle imbalance, taping and strapping and a home exercise programme. Overtraining must be very carefully avoided in all of these phases, and training is monitored so that full activity does not occur before full recovery has taken place. It is obvious that prevention is better than cure and your Chiropractor will always advise the patient on how to prevent recurrence of the injury on return to sport. Never train hard when stiff from the previous effort. Introduce new activities very gradually. Allow lots of time for warming up and cooling off. Train on different surfaces, using the right footwear. Shower and change immediately after the cool down. Stay away from infectious areas when training or competing very hard. Be extremely fussy about hygiene in hot weather. Monitor fatigue. If tired, ease off training.